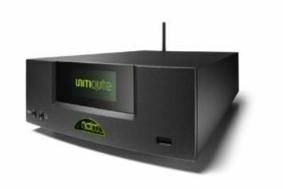 Two chances to win yourself a Naim UnitiQute | What Hi-Fi? Two competitions running this month give you the chance to own either the UnitiQute or a complete UnitiQute system including a pair of Naim n-Sat speakers. The Naim Label has a draw for anyone buying and downloading three albums from its catalogue this month. All you have to do is email your purchase receipt back to the company before the end of the month, and a draw for the winner of the UnitiQute will take place in January. Meanwhile US-based online music station Radio Paradise is offering a UnitiQute and a pair of Naim n-Sat speakers to anyone making a donation to support the station between now and the end of the month. Although the station is based in the States, the draw is open to anyone over 18 anywhere in the world, with the proviso that if the winner is outside the US, they'll be liable for any import duties involved in receiving their prize.